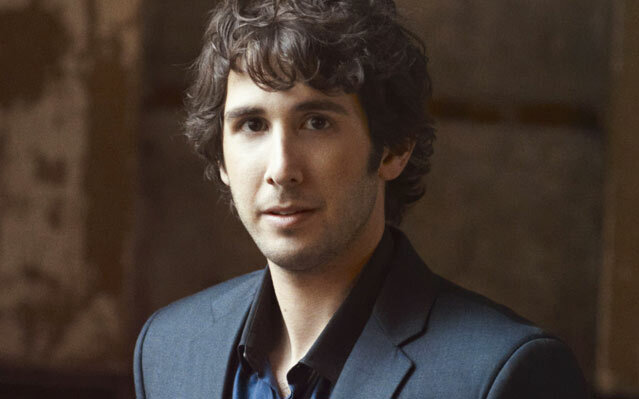 XOXO Jes - Canadian Entertainment News: Happy Day to my birthday buddy Josh Groban! Happy Day to my birthday buddy Josh Groban! Me and the Grobester have our birthdays 5 years apart, which means we have milestone birthdays on the same year and the weird in between ones on the same years too. Last year Josh had his 30th, milestone, and I had my 25th, also milestone. This year he turns 31 and I turn 26. Both lame in between birthdays that no one really cares about. Happy birthday which is not really a big deal Josh! I am right there with you. Night! the Most Magical Night! of my Live! I want to thank you. I saw you Guesthose Live! with Kelly in December&in November! I'AMM SO!! IN LOVE!!! WITH YOU, Have A GREAT! DAY please write me back on an E-mail ChristaCpellicci@aol.com or my Facebook under Christa. Does she actually think you know Josh Groban? For real?